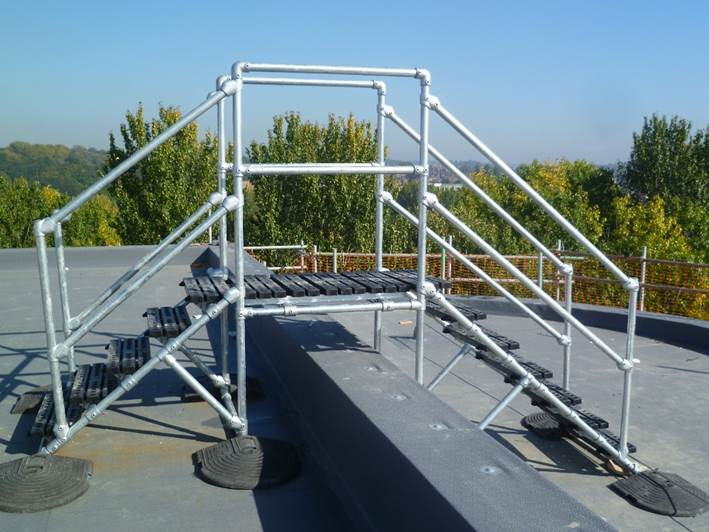 Safe access to a roof or building structure is just as important as providing fall protection. 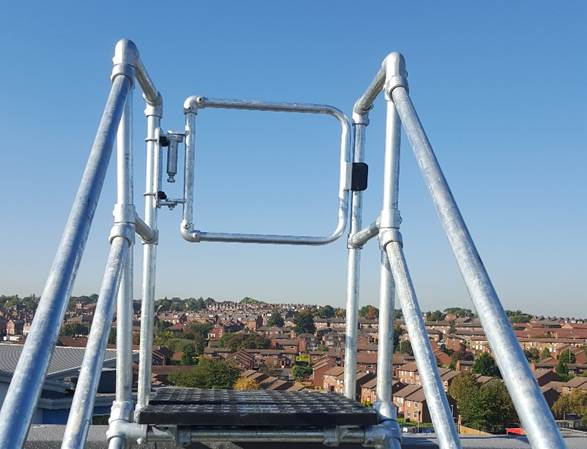 Roofs increasingly tend to have more foot traffic than they were originally designed for, with plant and equipment (such as HVAC Units, solar panels, CCTV equipment and satellite dishes & Aerials) all requiring regular access and maintenance. 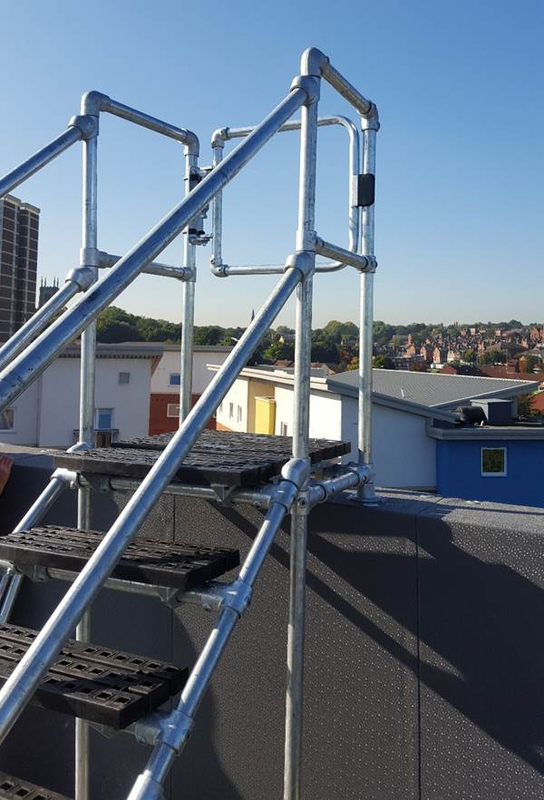 Providing safe access to a roof is essential when regular maintenance is required which the HSE defines ‘regular’ as any work that needs to be performed once or more a year. 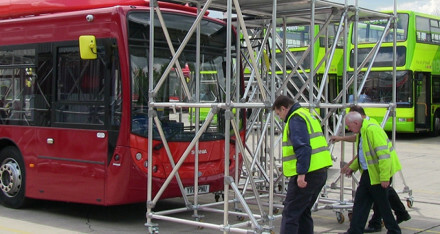 Changes in roof level heights, unsuitable walking surfaces, trip hazards, high voltage equipment all create hazards where people need to be able to move safely or restricted to where they can go, add carrying of tools and equipment into the mix and the potential for accidents increases. We were contacted by our customer who after careful consideration of our platform product range, requested we design something that would provide a clearly marked path to the different areas of the roof, not penetrate the roof membrane but also prevent the possibility of a fall. 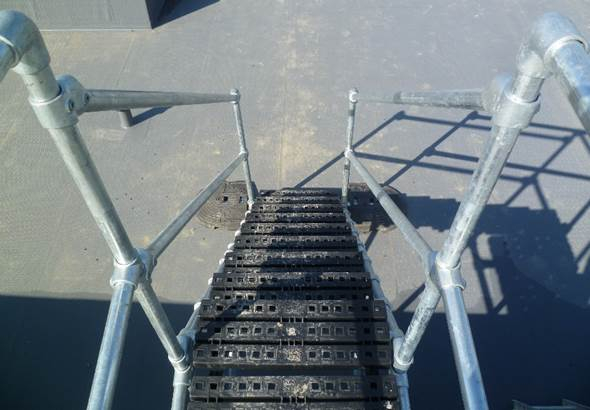 After discussing the requirements of the customer, we created these custom step over platforms. 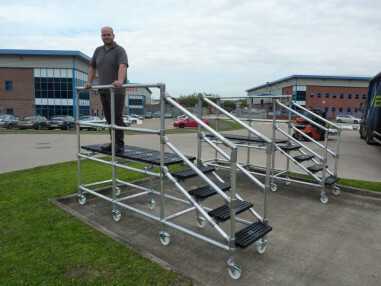 The step over platforms featured easy to construct sections, which meant lifting the parts onto the roof simple and as the system was quickly designed specifically for the project, the step over was as low and unobtrusive as possible. Using specially designed KeeWalk treads, you reduce the risk of pooling water meaning that the risks of slipping from ice during winter and mould/moss collecting during summer is significantly reduced. 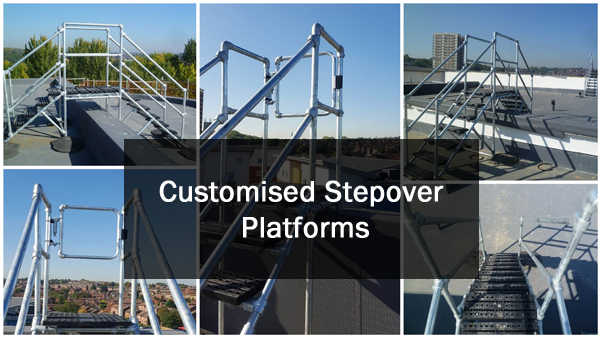 The stepover platforms being modular in nature mean that you can easily adapt or reconfigure the systems if the requirement changes for any reason. 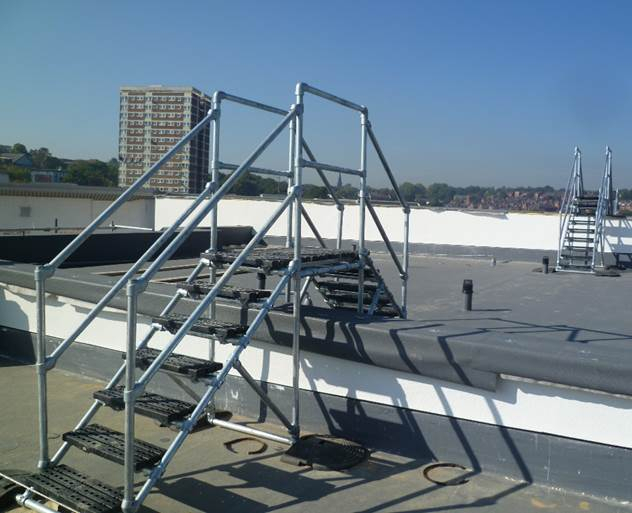 The non-penetrative platforms use the tried and tested recycled PVC weights we also use with the KeeGuard free standing roof guardrail system, you ensure you spread the load of the whole system over a larger surface area, ensuring that abrasion to the roof membrane is reduced and there are no waterproofing required.